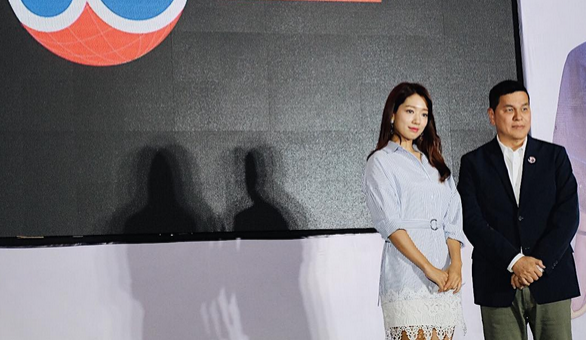 Park Shin Hye is now in Manila! On Thursday, July 27, the Korean actress, popularly known as Lee Min Ho’s co-star in the drama 'The Heirs', arrived for a "fun meet and greet" with her fans at the Araneta Coliseum tomorrow, July 28. The event is presented by the local clothing brand Bench, which she newly-endorsed. This is not Park's first visit to Manila. Last 2013, she met her Filipino fans as part of her 'Kiss of Angel' Asian Tour.